Oh, how excited I am! 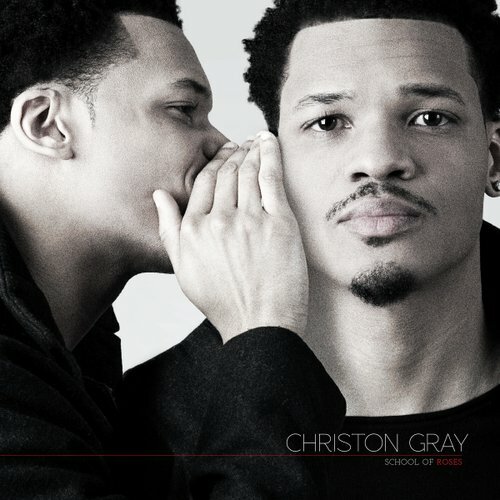 Thanks to Josh of SOHH PR, for hitting me up about the upcoming release of Christon Gray’s “School of Roses” debut LP due out on March 25th! The album is available for pre-order for $6.99 right now on iTunes! So, real quick a little about this handsome, young man, Christon Gray: Age 27, musically gifted to write, sing, rap, produce and design. His sound is a premium blend of classical, jazz, gospel, soul, pop and even rap in a sophisticated manner. His inspirations range from Stevie Wonder, Michael Jackson, Steely Dan, Michael McDonald, Bill Withers, Earth Wind and Fire, to Paul McCartney, Marvin Winans, Lauryn Hill, The Roots and Alicia Keys. In 2006, he entered the Christian Rap genre writing, rapping, singing and producing with the Christian rap group, The Elevationists. His debut solo album, entitled, “Even With Evil With Me”, released July 2011 and is available on iTunes. Christon is a featured artist on label mate Swoope’s critically acclaimed album “Wake Up” and featured on the widely received Lecrae mix tape “Church Clothes”. Collision is excited to have him as part of the family and to see what the Lord will do through him as an ambassador through music. Christon is part of the collective WLAK (We Live As Kings) with the self titled album “WLAK (We Live As Kings)” released last year. This entry was posted in Gospel Entertainment News, Video Shares and tagged Christon Gray, Collision Records, Gospel, Music, School of Roses, WLAK. Bookmark the permalink.